That is correct. The tour that takes you all around Boston, to places the other tours won’t take you, such as Southie (South Boston) and Charleston, is not just a tour, it’s a one-man show, and a very entertaining one at that. 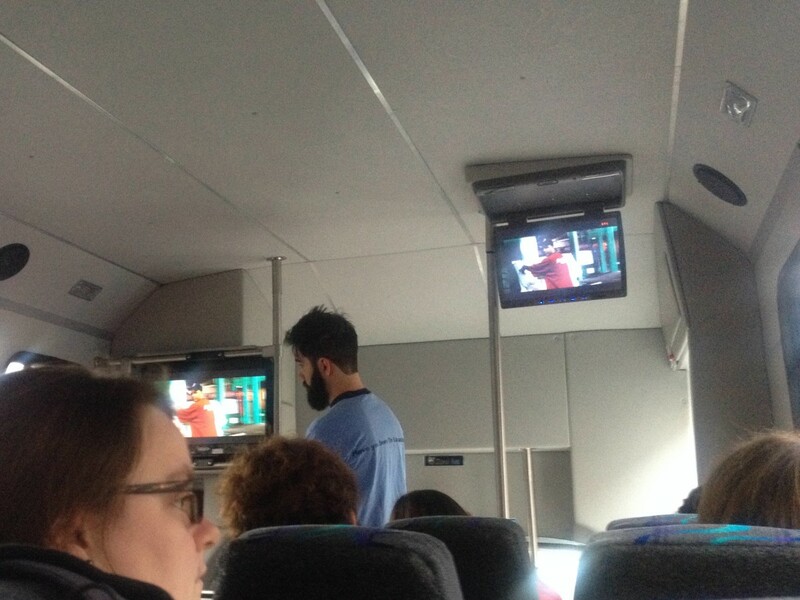 I was impressed at how our tour guide, Javier, could talk nearly non stop for the whole tour, while at the same time operating the buttons of a DVD player remote to cue in relevant movie clips, just at the right moment.